The rise in gold imports have also contributed to the sharp increase in the current account deficit (CAD) to $14.3 billion, which works out to 2.4 per cent of GDP. The country's gold imports have tripled to $15.24 billion during April-August in the current financial year (2017-18) from $5.08 billion in the same period of 2016-17, figures released by the commerce ministry show. In August this year, imports of the precious metal rose to $1.88 billion from $1.11 billion in the same month of the previous fiscal. Surge in gold imports last month contributed to the widening of trade deficit to $11.64 billion as against $7.7 billion in August 2016. The rise in gold imports have also contributed to the sharp increase in the current account deficit (CAD) to $14.3 billion, which works out to 2.4 per cent of GDP, at the end of first quarter of 2017-18. CAD refers to the shortfall in the inflow of foreign exchange compared to the outflow of foreign exchange and reflects the country's capacity to finance its imports. It also has an impact on the exchange rate of the rupee. There is comfort in the fact that the country has a record $412 billion in foreign exchange which is sufficient to finance 11 months of imports. However, much of this kitty comprises huge foreign currency inflows into the capital markets which is considered ``hot money'' that can leave at short notice. There is expected to be some decline in gold imports as the government has clamped down on shipments of the precious metal from South Korea from where large quantities were coming in at zero duty. India, the world's biggest gold consumer after China, imposes a 10 per cent import duty on gold and silver, but this does not apply to countries with which it has Free Trade Agreements (FTAs), like South Korea. To avoid duty-free imports from those countries, the government previously imposed a 12.5 per cent excise duty. However, this was scrapped along with other local taxes when the goods and services tax (GST) was introduced on July 1. However, due to the surge in imports the government had on August 25 issued a notice that the protection given under FTA will not be applicable for imports of silver and gold from South Korea. This is expected to curtail imports going ahead. The imports mainly take care of jewellery industry demand. At present, gold import attracts 10 per cent customs duty. As part of a new nationwide sales tax regime that kicked in on July 1, the goods and services tax on gold went up to 3 per cent from 1.2 percent earlier. India's gold imports are likely to jump by a third in 2017 to 750 tonnes on restocking by jewellers and as good monsoon rainfall is expected to boost demand in rural areas during the upcoming festive season. India, whose gold consumption is rivaled only by China's, imported 557.7 tonnes of gold in 2016, the lowest in 13 years, according to the World Gold Council. "Demand and imports are normalising after taking a hit last year. 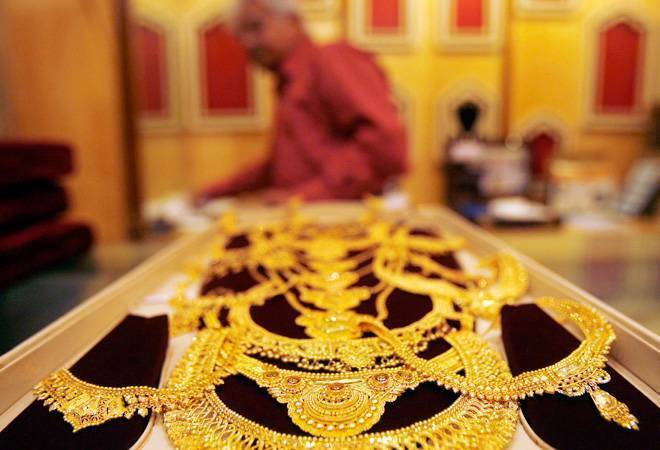 Jewellers are restocking after destocking last year," says Rajesh Khosla, managing director of MMTC-PAMP India, the country's biggest refinery. But import growth would taper off in coming months as jewellers had restocked earlier than usual this year, fearing higher taxes, Khosla said.